We accept bitcoin for all services we provide, generally at the prevailing market rates at the time of purchase. 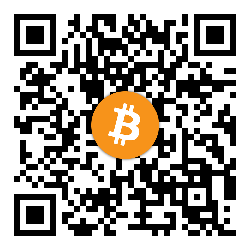 Our bitcoin address is 15s21xPaDudD9kSxHKCe21y4pDaNYdZr9x. Also see our billing page for additional payment options. EPRCI is served via HTTPS, which among other things ensures that our bitcoin address was not tampered with in transit. Verify that you are viewing this page via HTTPS and that our certificate is legitimate before using the above address.